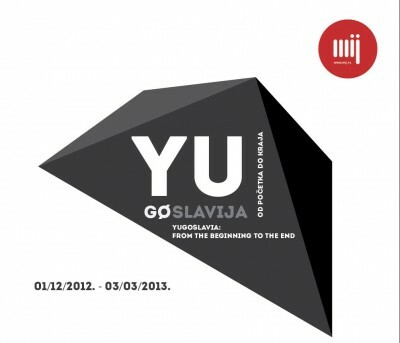 Laibach is included in the ambitious exhibition, titled: YUGOSLAVIA : FROM THE BEGINNING TO THE END, held the Museum of Yugoslav History / Museum May 25 in Belgrade, located next to Tito’s Mausoleum. Exhibition, which was already opened on 1st December and will run till March 3rd 2013, will form the basis of future permanent exhibition of this institution. The current exhibition will run for three months, with an open invitation for dialogue, and after the reaction of academic and professional public, will result with the permanent exhibition on the history of Yugoslavia. Laibach is presented as one of the phenomenon within the cultural sphere, foreseeing (and foretelling) the end of the country.